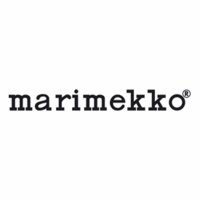 More about Marimekko Unikko White Bath Towel Express your love for Maija Isola’s poppy print in a way that feels soft and subtle. 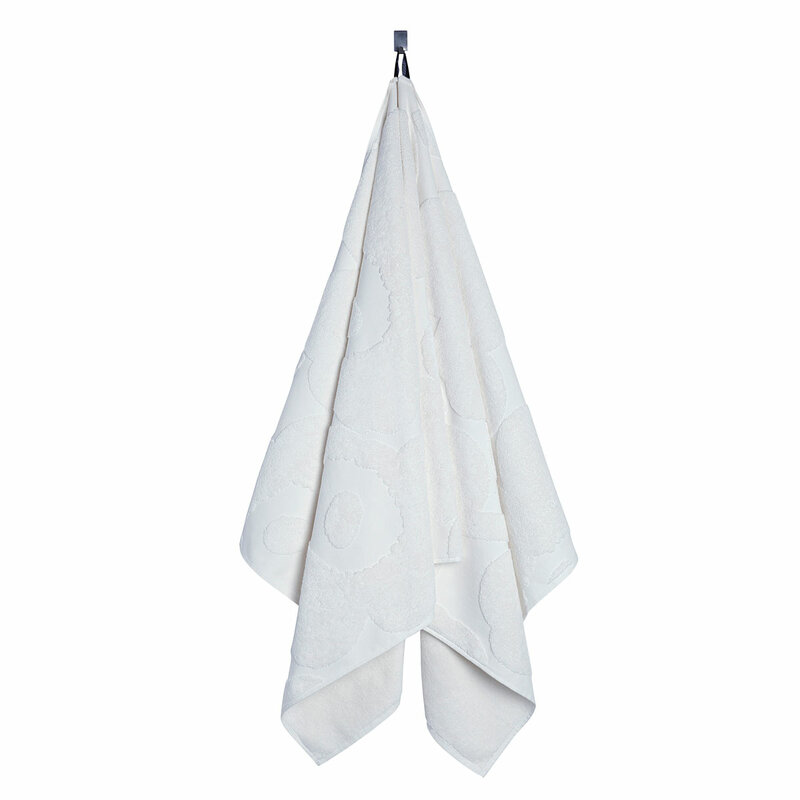 White on white, the 1964 Unikko pattern on this hand towel is revealed purely through embossment of the petals, stems and centers. 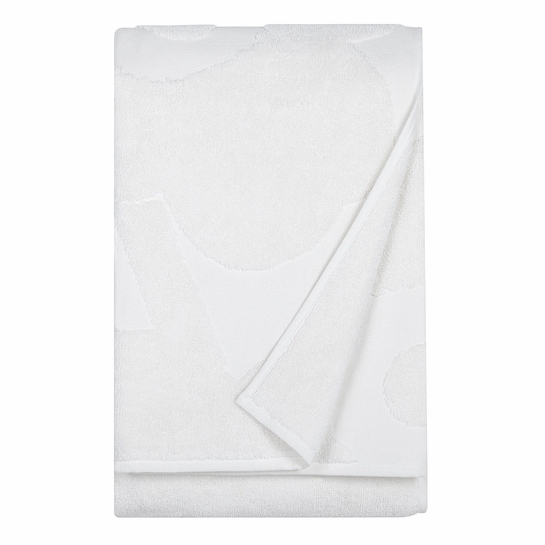 This variation in texture does not affect the plush, durable and absorbent quality of the 100% cotton terry composition. 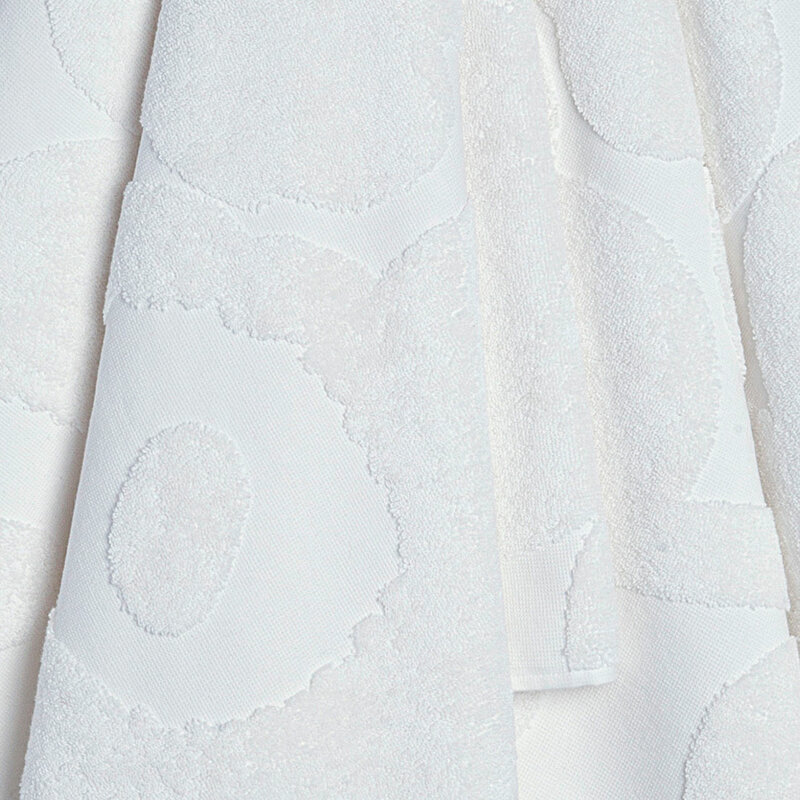 A nod to prints but a true solid, this hybrid could be beautifully combined with other Marimekko bath towels, such as Marimekko Nimikko and Ujo, for a unique yet cohesive linen closet. Has tag for hanginginstructions on tag. 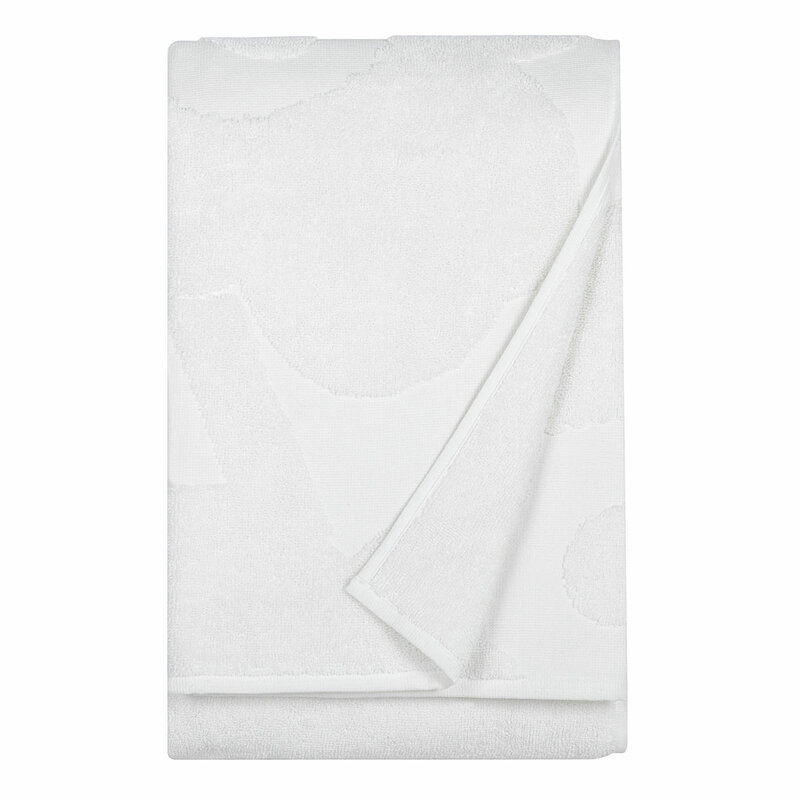 Does this towel have a sewn in hook for hanging ?